Ha ha, that's the spirit! Not quite an Aussie beach scene but "Cheers, mate" anyway!!! You could have chosen a better subject!!!! 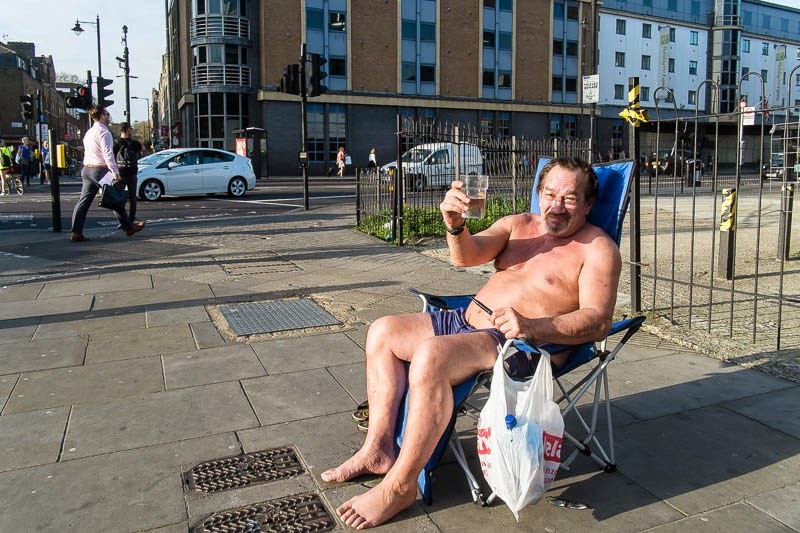 Hey, already so warm in London? When in London, do as the Londoners do! LOL, catch the sun when you can! If he is drinking beer, it is good that it is NOT in Norway. Here the police would have emptied the glas. and he would have got a fine. A bit weird, but funny... We see much worse around here!